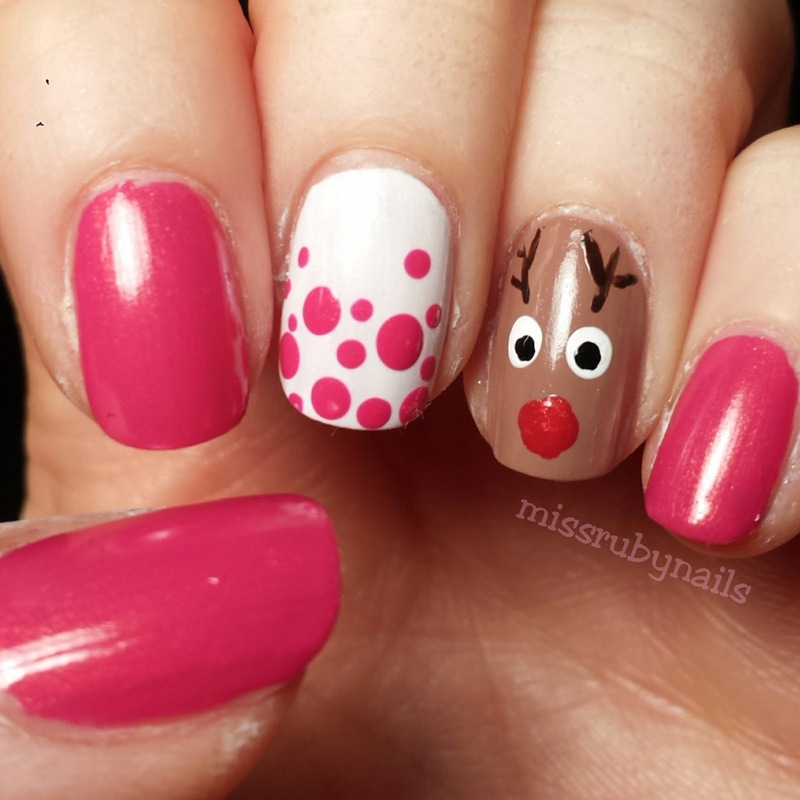 Here's another cute Christmas nailart with the red-nose reindeer! 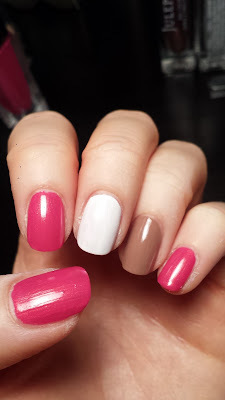 For the color base, I chose pink, white and brown polishes. 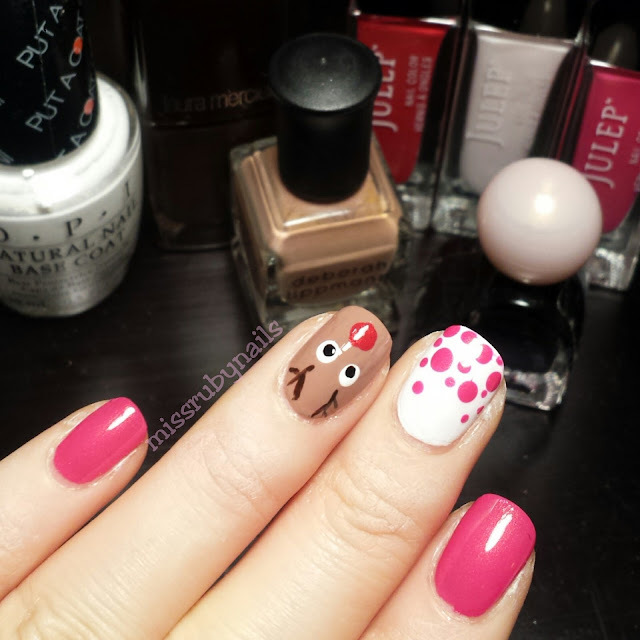 Brown is for the Rudolph's face and you can basically pick any color combinations you want for the other nails! 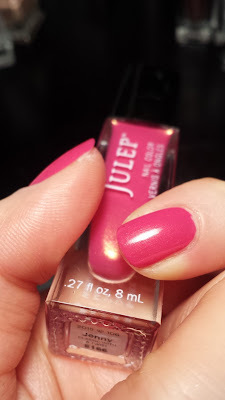 This pink polish is Julep's Jenny and it is a gorgeous fuchsia pink with some fine gold shimmer! To make the Rudolph's face, I dotted the white eyes and another dot for the big red nose. 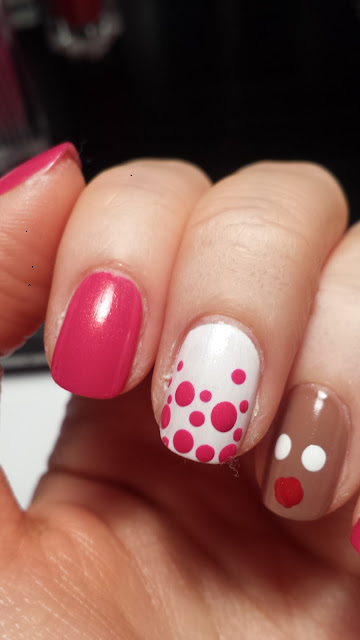 On the white nail, I painted different sizes of pink polka dots to make a more random effect. 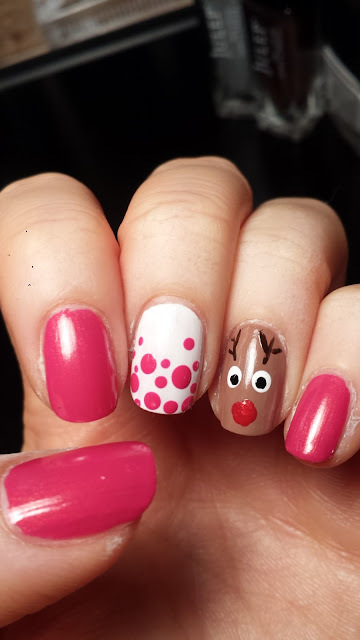 I then completed the reindeer's face with smaller dots of black eyes and added the antlers with a dark brown polish using a tiny detailing brush. After applying top coat and we are done!